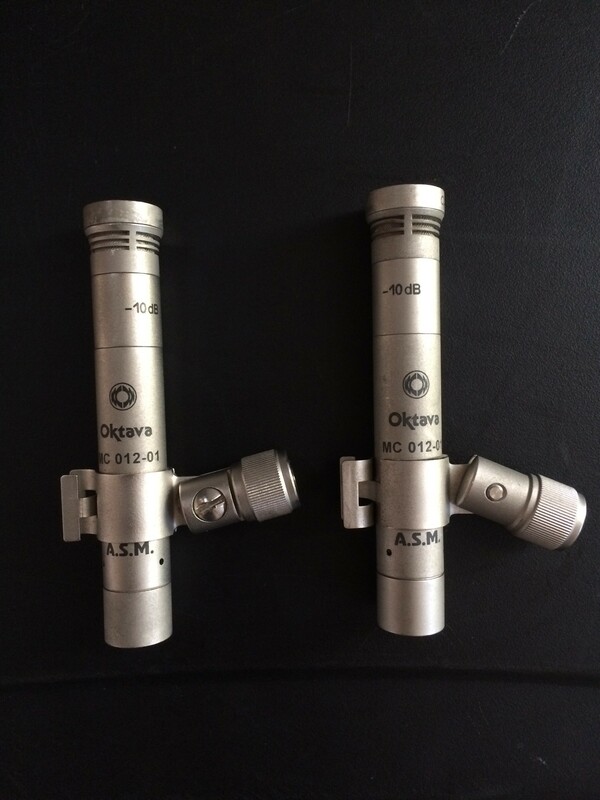 Pair of Oktava MK012 condenser mics. $450. Nice Russian-built small-diaphragm condensers, great for acoustic music in live performance or recording. I've owned them for perhaps a dozen years and they've seen very light duty. I was pleased to discover that in the time I have owned them, the reputation of these mics has gone way up and they're now highly sought after. The MK012 can be disassembled and used in different configurations. This pair has cardioid capsules and removable -10dB pads. (Additional omnidirectional or hypercardioid capsules can be purchased from the maker's U.S. direct-to-consumer sales office.) Clips are included, as are plastic clamshell cases. Looking for $450 for the pair, and I'll cover U.S. shipping. Kindly for more information. $450, U.S. shipping included. 48-hour approval period.